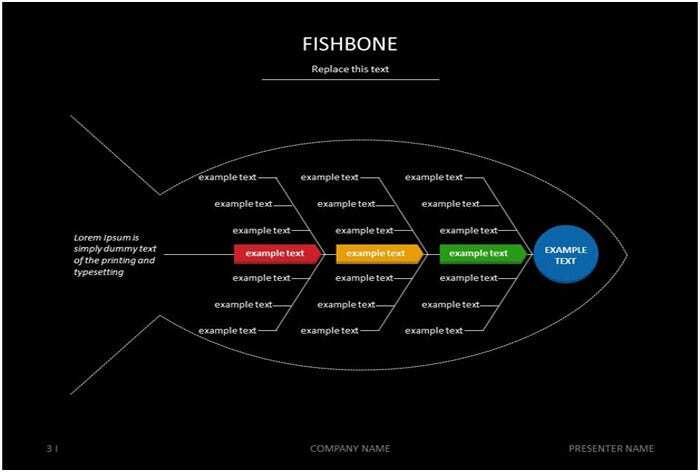 If you are like me who has no idea where to get started on drawing a fishbone diagram, the best thing to do would be to download some fishbone diagram template and use them for your next project. The use of template is actually a cost effective way of getting your project complete fast without ever having to spend a lot of time on the project. You may also visit cool venn diagram templates. The premade examples are an excellent mean to get you different samples designs templates that you want. The best thing is that instead of having to spend time to think about how you are going to draw this one and thereafter include in your project, you can just down the template, edit the diagram(s) to a more suitable shape (height and width) and then include it in your Word or Excel project. This one is a colored template depicting several things including cause and effect. 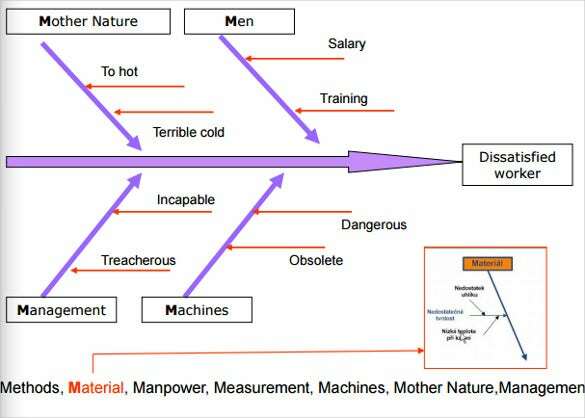 The horizontal line represents dissatisfied worker as an effect of Mother Nature, Men, Management and machines. 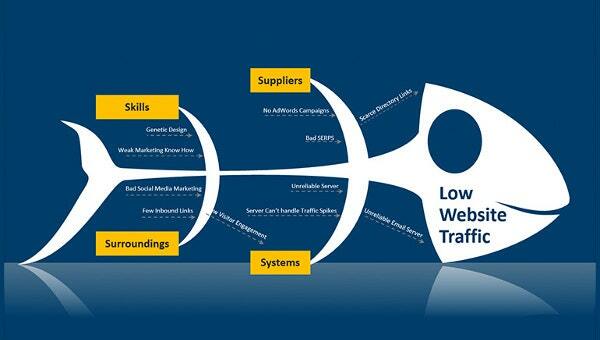 The template comes with elaboration and diagram for better understanding of the user. It is a bigger template with picture presentation too. Screenshots are included in the template. 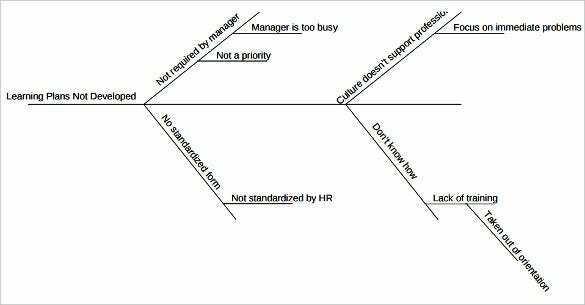 The Fishbone Diagram Template is a colorful template that can be used to provide a representation of cause and effect. 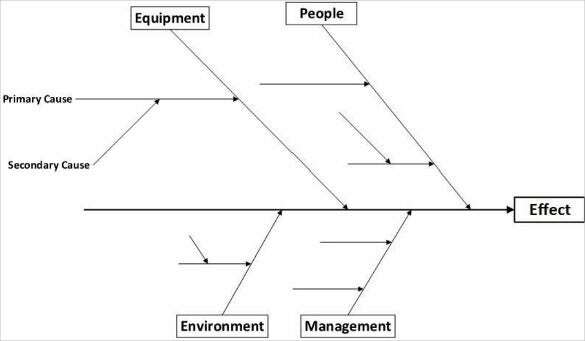 People, policy, plant/technology, and procedures are the vertical causes which can result in any cause. You may also see Free Body Diagram Templates. 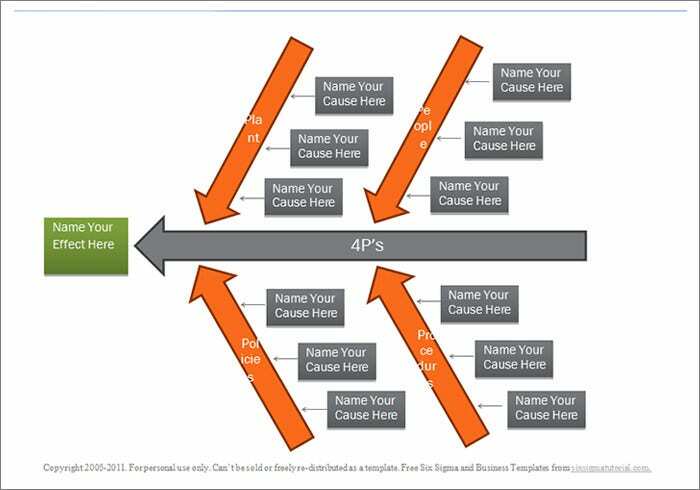 The blank Fishbone diagram template can be used for representing any cause and effect depending on the need of the user. You just have to fill in the blank spaces with proper heads and your fishbone template will be ready. It is a neat and clean template easy to download. You may also see Heart Diagram. 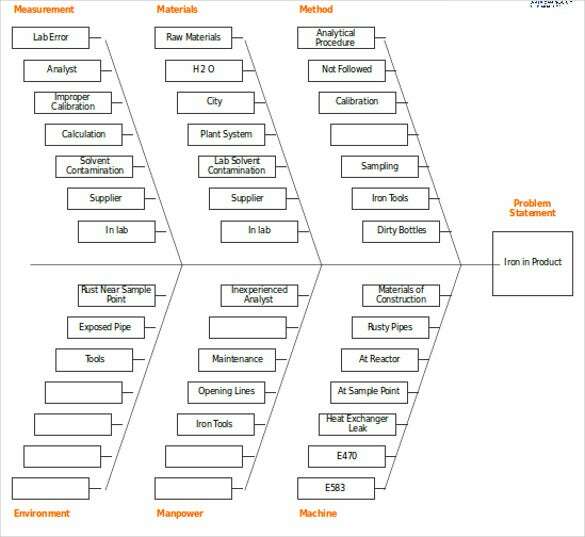 You can use as many or as less diagrams as you wish, depending on the nature of the project that you are doing. It is highly likely that you will be doing a school or business project Report, which makes these templates more time-saving and cost effective solution, which you can use for the project. 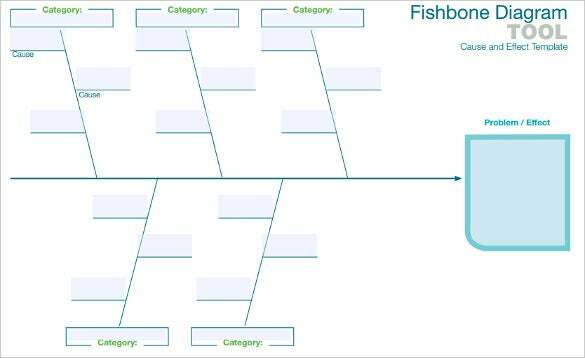 The fishbone diagram templates are all ready to be downloaded for free. The templates are quite easy to use. Some of them are available in word while some will be available in PDF. The representation is quite clean. You may also see Fish Templates. 19+ Message Template – Free Word, PDF Documents Download!